Just as we approached the Roebling Bridge, the skies opened with a vengeance. We knew a storm was coming, but we had no idea just how potent it would be, and by the time we crossed into Ohio, we were completely drenched. Surely there were better ways to spend our free time and disposable income than by flying 2,000 miles and ending up comically soaked. Then again, as a Reds fan, I should be well-versed in suffering by now. As I recently pointed out, no team in the National League has dropped more games over the last five seasons than our Redlegs, yet despite another lost season during a seemingly perpetual rebuild, I found myself back in Cincinnati for two more games earlier this month. During Spring Training, I read an MLB season preview piece somewhere that, when reflecting on the team’s recent failure with no apparent light at the end of the tunnel, asked what it meant to be a Reds fan in 2018. At the time, I found the verbiage perplexing, for to me, fandom is akin to unrequited love, and it shouldn’t fluctuate from one year to the next or have any correlation whatsoever to a team’s win-loss record. Granted, that’s sometimes easier said than done, and a number of perplexing and frustrating moves this year have certainly tested the limits of my devotion, but not enough to keep me planted in warm and sunny (and dry!) 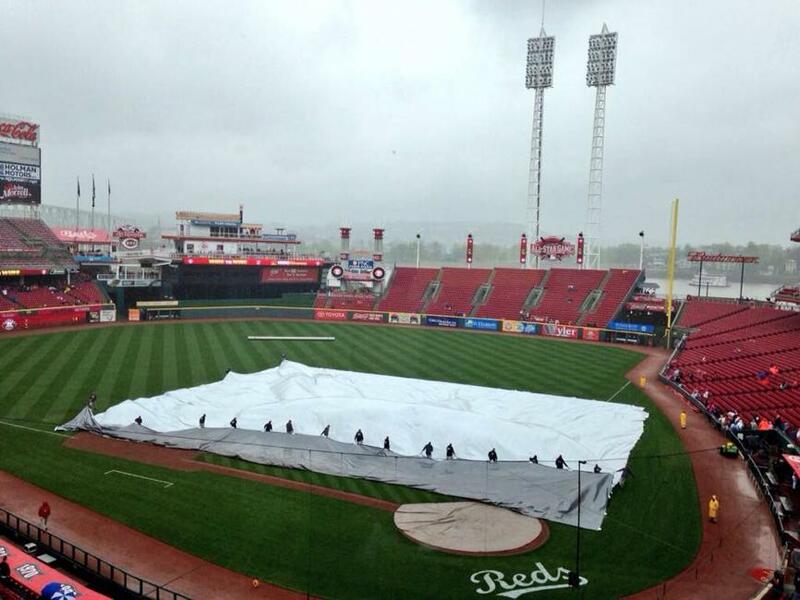 California Ã¢â‚¬â€œ which is why I found myself doing my best impression of a wet dog outside of Great American Ball Park two Fridays ago. WeÃ¢â‚¬â„¢re wired to prefer the familiar. The strength of this bias varies from person to person, but itÃ¢â‚¬â„¢s found in many aspects of our lives, such as what we eat, the music we listen to, how we dress, where we live and the hobbies we choose. Comfort food, after all, is really just familiar food. Familiarity and owner identity bias are the same phenomena that lead people who live in a certain place to become fans of local sports teams. In fact, the business side of a sports franchise counts on us overvaluing the home town team, the one we see all the time, the one we consider Ã¢â‚¬Å“ourÃ¢â‚¬Â team. Fans have cognitive biases. WeÃ¢â‚¬â„¢re emotional. We identify with Ã¢â‚¬Å“ourÃ¢â‚¬Â players. We see them all the time and overvalue them. We resist changing them. Even though not all of those words apply to me as a long-distance fan, reading that hit home. In Ã¢â‚¬Å“real life,Ã¢â‚¬Â I often rail against the laziness of doing things the way they’ve always been done and frequently advocate seeking out better, more efficient, more economical and/or more rewarding approaches. When it comes to baseball, though, I’m Exhibit A of what I’ve long called Ã¢â‚¬Å“fan inertia.Ã¢â‚¬Â In other words, no matter how poorly the Reds fare on the field or how directionless the franchise often seems, I’m still here. I fully realize that a large reason why is sheer stubbornness (or, quite possibly, another word that begins with Ã¢â‚¬Å“stuÃ¢â‚¬Â), in the sense that after investing more than three decades into something, there’s little chance I’ll abandon ship now. In fact, my fandom seems to deepen with each baseball season, which has led to a bizarre correlation in recent years Ã¢â‚¬â€œ the worse the Reds play, the more I find myself loving them. But why do I Ã¢â‚¬â€œ and, if you’re reading this, you Ã¢â‚¬â€œ continue to cheer? 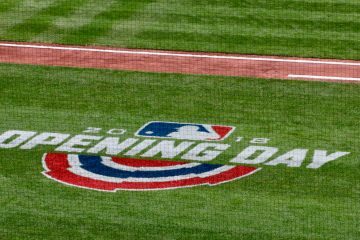 For me, I’m sure it has plenty to do with being a father and having the chance to enjoy baseball once again through a child’s eyes Ã¢â‚¬â€œ or, if you’re more cynical, perhaps I’m suffering from a mid-life crisis and desperately clinging to the throes of my own childhood. 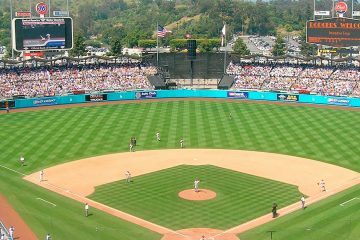 Alternately, maybe baseball serves as a welcome distraction from work, politics or whatever else the mind and soul crave getting distracted from at that particular moment. I think there’s more to it than that, though. As I’ve written previously, advances in technology Ã¢â‚¬â€œ the At-Bat app, MLB.tv and Twitter, namely Ã¢â‚¬â€œ have made me feel just as connected as a GABP season ticket-holder, a dramatic change from when I’d have to wait for the ESPN ticker to flash a score or sit through an episode of Ã¢â‚¬Å“Baseball TonightÃ¢â‚¬Â to see a game’s highlights. Beyond the accessibility factor, there’s also something to be said for the sense of community that sites like this one nurture. When you’re surrounded by Dodgers and Angels fans, it’s near impossible to find people who speak your language, but here, I feel at home. It’s a similar feeling whenever I enter GABP, soaking wet or not, that I never feel whenever I see the Reds play here in California or even in Goodyear. I’d love to have the opportunity to see the Reds in person 81 times each year, but I don’t. I think that’s a big reason why it always seems so special when I do, regardless of whether they win or lose. Of course, I always prefer it when they come out ahead, and I’m pleased to say that including spring training, their final record for 2018 games I attended was 6-6. Those 12 games ran the gamut from the best of times (sweeping Los Angeles at Dodger Stadium, the baseball equivalent of cats living with dogs) to the worst (suffering through three of the final games of the Bryan Price era, which co-starred Phil Gosselin and Cliff Pennington), but even when the Reds make the Bad News Bears look like an All-Star Team, I still know deep-down that there’s nowhere else I’d rather be at that particular moment. Whether that’s because of familiarity, exposure, inertia or insanity, it’s the same reason why I’ll be back in Goodyear in six months and why I’m already looking forward to seeing the Reds here in L.A. in April and in Anaheim in June Ã¢â‚¬â€œ preferably while wearing dry socks. Nice post, Clay. 6-6 is a pretty good in-person record. You might want to throw your hat in the ring for the manager’s job. I just don’t buy this. These owners make millions and billions of dollars. They get public funded stadiums on top of revenue sharing etc. Ppl like Mike Brown make money no matter how good their product is. This isn’t a community thing, it’s not the Florence freedom that is a nice night out. They are demanding Broadway prices and providing a minor league product and I’m supposed to prop up a billionaire because of sentimentality? Ridiculous. You owe nothing to these owners, nothing. They put a good product on the field, you pay the outrageous prices they charge. Outside of that, until he puts a product on the field worth watching he is getting zero of my money. Nice article Clay. I think for me, it’s connection to a game I love in general. I played and was pretty good (if I do say so myself) but never nearly good enough to play in the Majors. Watching the people who are that good is almost magical to me. For the Reds in particular, it’s partly that it is my hometown team but the majority of my love for the Reds is that my maternal grandmother, the person who believed in me no matter what, absolutely adored the Reds will all her heart and soul. So, watching or listening to the Reds, rooting for this team, no matter how horrible or good, often conjures memories of her. Those memories, no matter how horrible the team is, tend to make me smile, and that’s why I watch. Redlegnation and Twitter, especially interactions with those from Redlegnation, also provide me with a connection to other passionate fans and I greatly enjoy the interaction I have with you all.